Magento is a quirky eCommerce program that needs the proper host to make it work efficiently. You can design a great store with branded theme and add on extensions, but right Magento hosting companies are important for business. Let’s look at how to find the right host for your store. 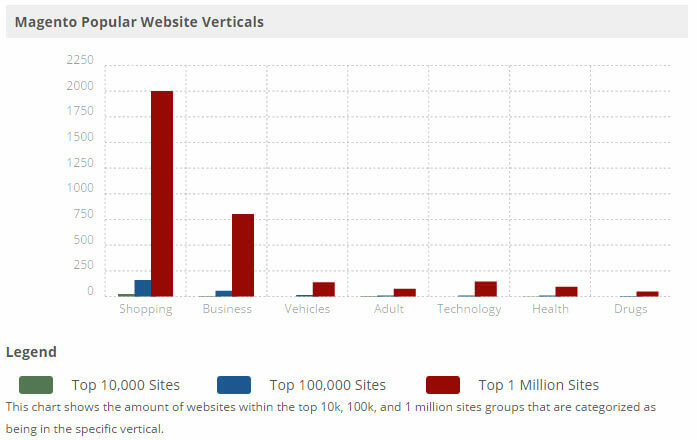 According to Builtwith.com, Magento is mostly used for setting up online retail shops. What to look for in Magento Hosting Companies? If something looks too good to be true, check the reviews. Reviews are the best way to see if a hosting company is reliable. Aspiration Hosting has a 4.8* rating. You can read the reviews from our genuine customers to get to know how we work. Everyone loves choices, and the best Magento hosting companies have more than just one plan. Aspiration Hosting plans are designed to offer different resources and additional services at an affordable fit your budget rate. Check out the different Magento cloud hosting plans on our site. In conclusion, you never have to worry, especially if you are using a reputable hosting company. Aspiration Hosting has been hosting Magento stores since 2008. Check out our cloud hosting plans, dedicated cloud servers, and MagePlus Online – the managed Magento plan.